One very common place to find PCBs are in light ballasts. 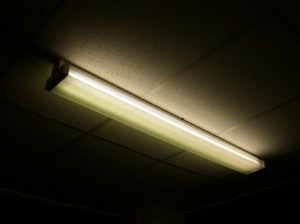 For example, many schools in the United States built before 1979 have light ballasts containing PCBs. The PCBs are contained within the light ballasts’ capacitors and in the ballasts’ potting material. Until the late 1970s, PCBs were commonly used as insulators in electrical equipment because they have high tolerance to heat, do not burn easily, and are non-explosive. Congress banned the manufacture of PCBs in the United States in 1977 because of their toxic effects. In 1979, EPA banned the processing or use of PCBs, except in totally enclosed equipment. However, a large number of fluorescent light ballasts that were installed prior to these bans may contain PCBs and may still be in use in older buildings. What is the process for PCBs removal?